A Totally New Kind of "Peace-Zah"
Kimchi a staple in Korean cuisine, is a traditional side dish made from salted and fermented vegetables, most commonly napa cabbages and Korean radishes, with a variety of seasonings including chili powder, scallions, garlics, ginger, and salted seafood among others. There are hundreds of varieties of kimchi made with different vegetables as the main ingredients. 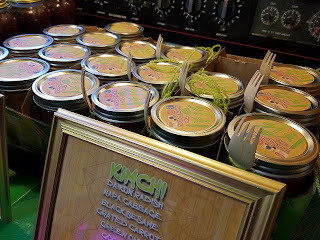 In traditional preparations, kimchi was stored underground in jars to keep cool, and unfrozen during the winter months. These days, kimchi refrigerators are used instead. 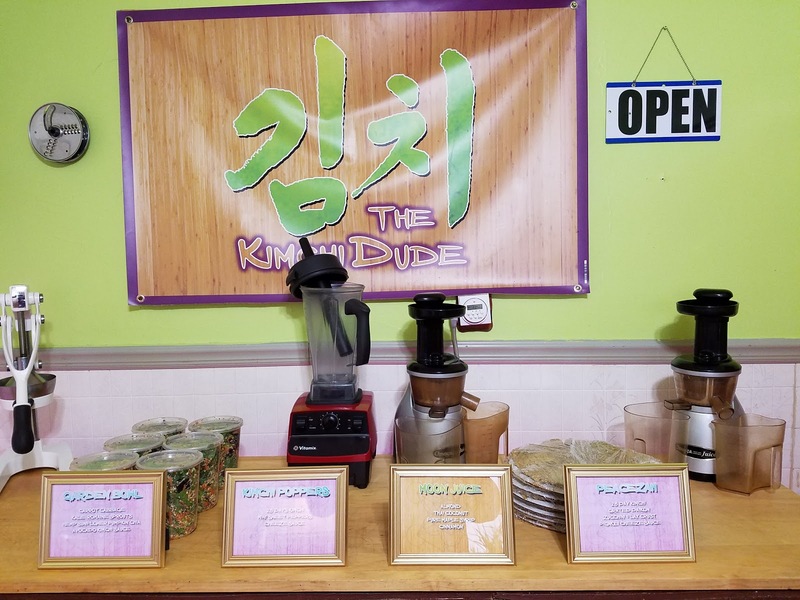 The Kimichi Dude, also known as Randy told me that his inevitable goal is to open a 100% raw food restaurant in downtown Scranton and is currently perfecting his product in his home and at local farmers markets until he finds a space. 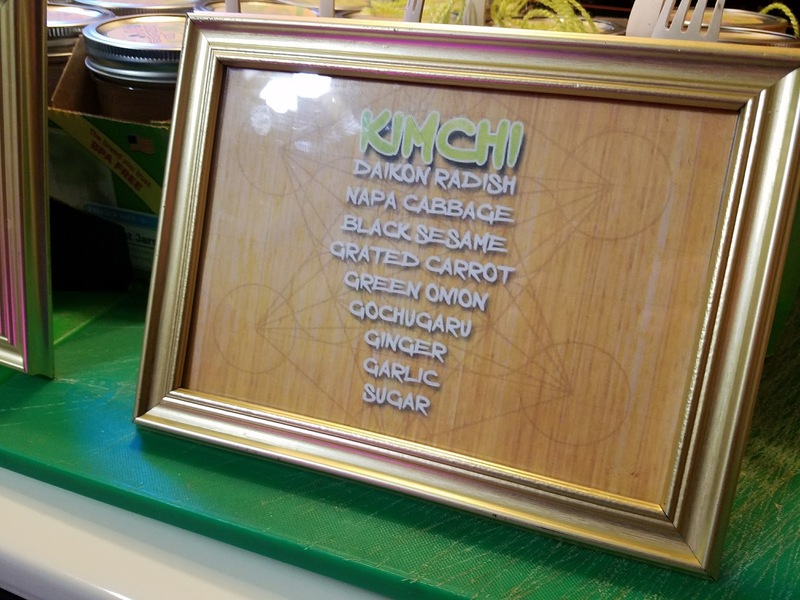 He currently operates at farmer's markets and out of his home, and I went to visit his home in Scranton to check out this "Peace-Zah" as he calls it. After entering, I was greeted by Randy and also had the pleasure of meeting fellow foodie, and the owner of "Kline's Korner" on the way in! He showed me the Peace-Zah which looked pretty cool and told me all about how he makes it. The crust was made of a blend of seasonal squash, golden flax, pumkin seeds, sunflower seeds, and hemp seeds. This blend is then formed into a round crust and placed in commercial food dehydrators to dry and become crispy. 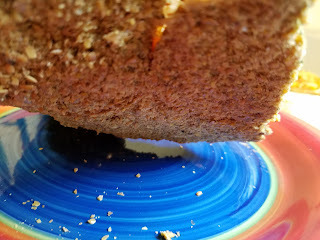 I found the crust to be quite pleasant, and the texture reminded me a little bit of a Triscut with it's crunchiness and whole grain taste. It was delicate, but held the toppings nicely and was easy to pick up and eat. I also thought it was flavorful, but not overly earthy. The "sauce" was very complex by my standards and included pignoli, nutritional yeast (vegan cheese flavor), and the Kimichi Dude's "Signature 28 Day Aged Kimichi." This blend was very flavorful and reminded me very much of some of the components of some sushi I have had over the years. It was fresh and vibrant tasting and had a little bit of a kick. 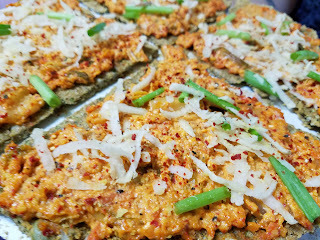 Finally, it was topped with a shredded daikon radish to mock the look of shredded cheese. The whole thing was quite colorful and flavorful and really had a pungent aroma. 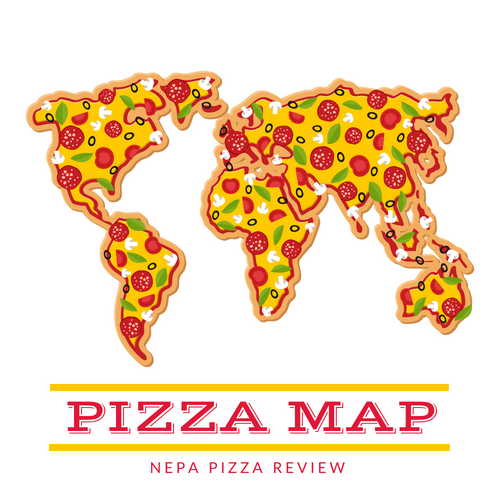 Optional toppings include a sun-dried marinara, grated jicama, and kalamata olives. As someone who has no experience with vegan foods, I have to say I was quite surprised at how good this was. 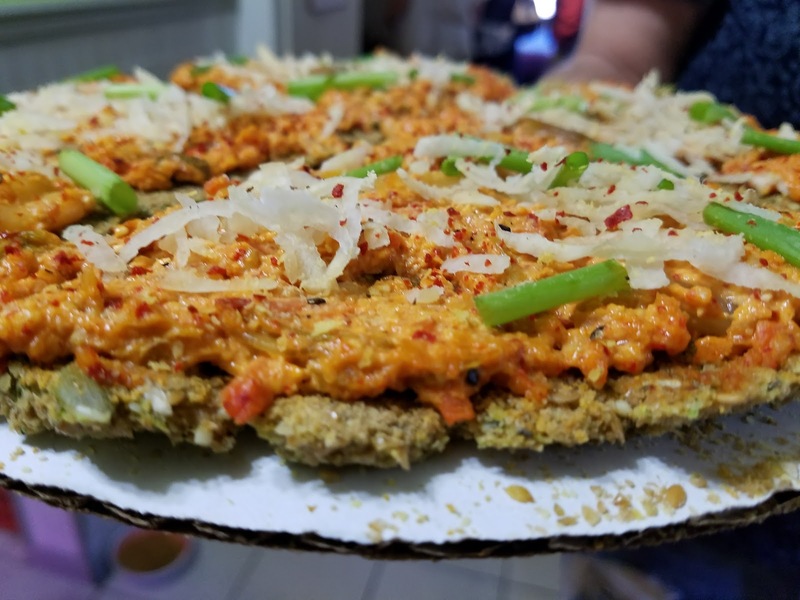 Of course it wasn't my traditional gluten-laden, sauce slathered, cheesy classic, but it apparently is very healthy and quite tasty. It's certainly something I would try again, and after hearing that Randy himself lost a very significant amount of weight since starting on this vegan venture, there is strong evidence that Peace-Zah, as opposed to Pizza is good for you! This was a completely unique experience for me, and I'm thrilled that Randy invited me to check it out before it hits the mainstream. Currently, Randy runs a sustainable operation where he tries to grow as much of his own food supply as possible, and I got to see some of the impressive operation. His future restaurant is sure to be something totally unique to the area. He wants to innovate the way that our entire region looks at food. 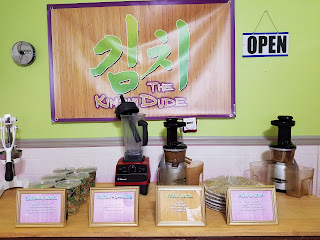 After listening to him talk about his vast culinary and vegan knowledge and witnessing his passion for this type of food, I have no doubt he is well versed to bring his unique genre of food and juices to market. I wish him a lot of luck in this new venture and I look forward to visiting when the shop opens! To get in touch with the Kimichi Dude or to find out how to get his products, check out his facebook page.